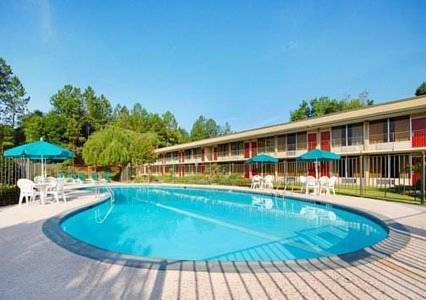 The Quality Inn hotel in Americus, GA gives you real value with peace of mind. Our pet-friendly hotel is near Habitat for Humanity International, Georgia Southwestern State University and Archery with the childhood home of former President Jimmy Carter. Enjoy amenities that include free WiFi, free coffee and tea, free weekday newspaper, a seasonal outdoor pool, restaurant, safe, guest laundry facility, valet cleaning, copy and fax services. Each inviting guest room features a coffee maker, hair dryer, Q bed with a premium mattress, TV, iron and ironing board. Select rooms include a microwave, refrigerator and desk. Also, earn rewards including free nights and gift cards with our Choice Privileges Rewards program. Pet accommodation: 10.00 per night per pet, up to 15 lbs. Though many covet the crown, the King of Giant Peanuts still rules from its cylindrical brick perch along the interstate.